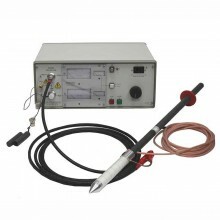 The T&R PT30-10 high voltage dc test set is designed to perform tests on installed cable and jointing systems. The units have a variable output voltage with a maximum of ±30kVdc, with a maximum charging capability of 10mA. A zero-volt interlock is fitted that prevents the output being switched on unless the output control is at zero. 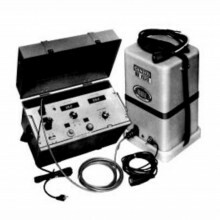 The T&R PT30-10 includes an automatic load discharge system that discharges the cable under test when the output is switched off or a breakdown occurs. The internal dumping system can discharge a maximum of 2.5kJ on each output, corresponding to 4µF at 30kV. In the event of a test object failure, the overload circuit will automatically switch off the output voltage and earth the output via the internal discharge circuit. 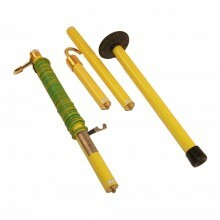 A manual discharge probe is also supplied as standard with the PT30-10 unit, allowing higher load capacitances to be safely discharged. 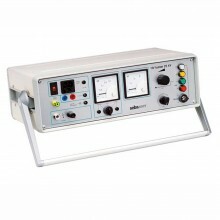 The mk2 units introduce automatic 115/230V mains voltage selection, allowing easy transition between site voltages. The output voltage is metered by two large, linear, analogue instruments marked 0-30kV. 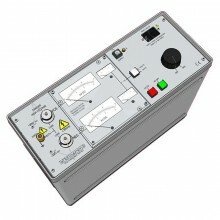 Test object current is metered by two further analogue instruments with 0-10 scale marking. The meter reads 0-10mA directly, or 0- 1mA when the ÷10 push button is operated. Both voltage and current metered on HV outputs. HV output plug & socket system. PT30-10 0 to ±30 kV. 5 mA. 10 mA. The above intermittent on times must be followed by an off time of 15 minutes and is based on ambient temperature of 25° C.
The positive and negative output voltages on the PT series are metered on the HV output by separate analogue instruments. PT30-10 0 to 30 kV. ±1.5% of full scale. 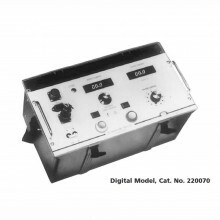 The output current on both of the outputs is metered by a dual range analogue instrument. The 1 mA range is selected by the 10 pushbutton adjacent to the mA meter. 1 mA. ±2.5% of full scale. 1 mA ±2.5% of full scale. 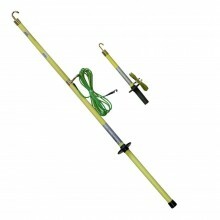 The PT30-10 is protected by an overload trip on the output that operates at 12mA. 50/60 Hz 1ph 750 VA max. 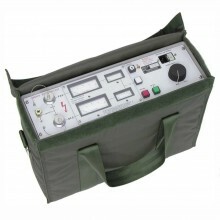 The output of the unit is protected by an overload trip, and the input and control supplies are protected by fuses. 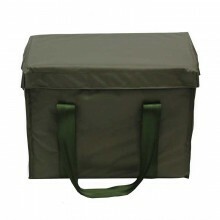 Storage temperature -20° C to 60° C.
Dimensions 471 x 191 x 362 mm. 32kg including bag & leads. T&R PT30-10 mk2 warranty 1 year. 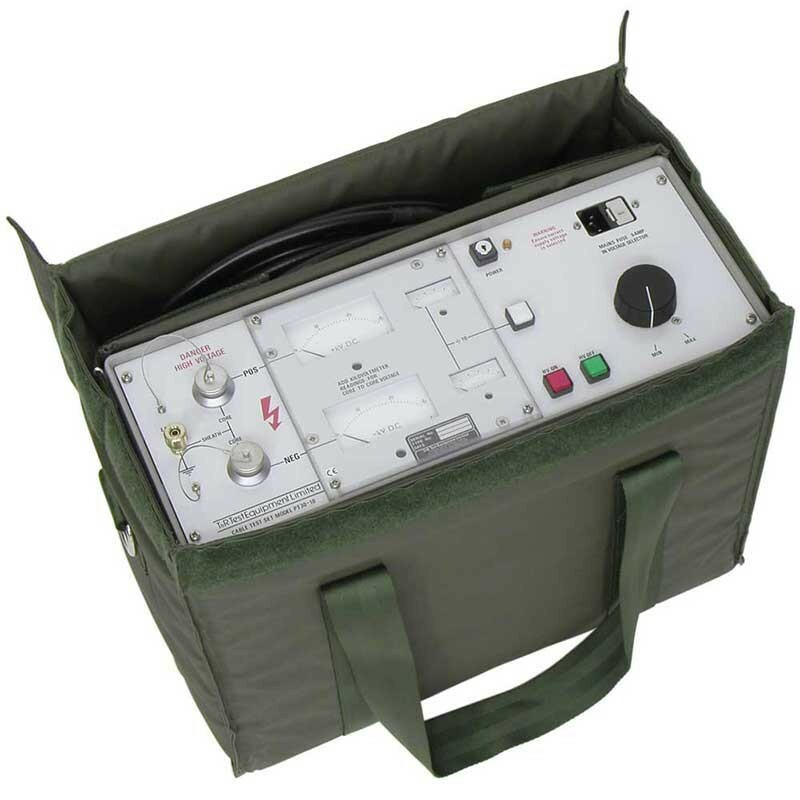 PDF Specifications of the T&R Pt18-10 & PT30-10 mk2 high voltage dc test sets.